Ambitious goals for UK Pharma, does the budget match up? The UK government has put forward ambitious plans for the pharmaceutical industry since Brexit. Though seemingly enterprising, there are worries that these plans simply appear promising on paper and do not have enough resources to see them through. Brexit has been marred by uncertainty since the UK voted to leave the European Union. The prospect of political and financial turmoil is now more pressing, as the very real possibility of a hard Brexit looms on the horizon. Uncertainty does not bode well for business, particularly when continued investment from the government is uncertain. Those companies benefiting from EU funds are seeking assurances that the UK government will provide at least as much investment post-Brexit as the EU would have done. Many companies find themselves being offered glamourous incentives to move their bases of operations to EU nations. In response, in November of 2016, Prime Minister Theresa May attempted to dismiss these concerns of the pharma industry by singling them out for special treatment. This involved the promise of increased investment in R&D totalling “hundreds of millions”, as well as “world-class” corporate access to R&D tax credits. These promises have received a follow up: the industrial strategy green paper in January 2017 again singled out pharma as one of the five industries the government aims to cultivate. In addition to this, the Health Advanced Research Programme (HARP) gives a more in depth plan of government strategy for R&D following Brexit. HARP is an ambitious project, one which spans the next decade. In its current state, however, it is no more than a collection of elaborate aspirations, many of which are unlikely ever to come to fruition. Despite this, the paper has been received well by UK pharma companies, as one of its key aims is to increase the current levels of R&D spending from 1.6 percent of GDP to 2.6 percent. The paper was drafted by Professor Sir John Bell and framed from the angle of setting out a long term “deal” for the pharma sector. Professor Bell is an academic specialising in genetics at the University of Oxford, he is also a member of the board of directors at Roche. This scientific background shines through in the paper, focusing nearly a quarter of its contents specifically into which areas of science should receive particular focus. Suggestions for focus areas include genomics, artificial intelligence, healthy ageing and health digitisation. Each of these areas are likely to receive large scale focus from the scientific community in the coming years and would likely make ideal investment targets for UK industries. These areas would be the targets of what Professor Bell refers to as high investment, high risk “moonshot” projects to start up entirely new industries over the next ten years. Bell claims these projects may require several hundred million pounds of investment each. HARP would form a government body that bridges the gap between the government, private companies and charities to focus investment into research. The Financial Times compares this proposed government body to US agency DARPA, the Defence Advanced Research Projects Agency. The proposed agency does have potential for a surge in the UK pharma industry. However, as a political agency focusing on “high risk, high investment” projects, if mismanaged it could form itself into a financial black hole worth 2.6 percent of the UK’s GDP. High risk projects, as their name suggests, may never see a return on their investment. “What is missing in conventional government funding is a bolder approach that would take risks with the science but could bring huge rewards,” says Bell. The projects have the potential to spark new areas of science within the UK, or, as with many research projects in both academic and pharmaceutical research, they hit a dead end and lose vast sums of money. There is also the matter of which projects are being backed. As a government agency, there is the potential for politicisation of the R&D process. Lobbying may see smaller companies entirely left behind, with funding being focused on larger companies, or those in the government’s favour. Due to the high risk nature of the investment projects, a return is not guaranteed, or if the established risk is particularly high, even expected. As such, the funds allocated to the agency could be used in the future to effectively “buy out” companies, giving them incentive to stay in the UK. As Theresa May once said, there is no “magic money tree”. While the paper proposing HARP may come with welcome promises to the industry, there is no definite guarantee of an increase in funding. 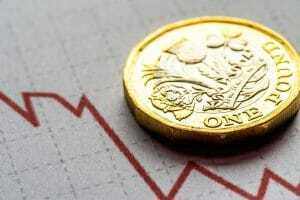 An increase in funding amounting to one percent of the UK’s GDP is no small promise. How pharma companies view the Brexit situation depends entirely on which media outlet is reporting, and this can widely vary from day to day. The Pharmatimes and FierceBiotech are currently taking optimistic stances, whereas PMLive regards the situation more apprehensively. Such wide variation in opinion only adds to the uncertainty of the current market climate. Ever present is the possibility that many of the companies based outside of the UK will withdraw their manufacturing facilities from the country. The HARP proposal may not directly benefit these smaller facilities with large investments into research, though the suggestion that R&D tax credits should be more readily available may alleviate some concerns. “We need to do more in this area for small and medium-sized enterprises as it’s very important that they settle their GMP manufacturing facilities in the UK” said Ian McCubbin, Senior Vice President for North America, Japan, global supply chain at GlaxoSmithKline. The current conditions set out under HARP are unlikely to benefit small to medium companies. Companies of all sizes run the risk that licensing a product in the UK will do nothing to help registration in the remaining 27-country EU. The EU is a much bigger market so there is a real risk that companies producing in the UK — maybe even those based in the UK — will register new discoveries preferentially in the Union while British doctors and patients have to wait. Immigration policies following Brexit may also play a role in how many pharma companies respond to the situation. As an industry with strong links to Europe and with a considerable number of employees from the continent, the rights of EU nationals within the UK is a priority for the industry. Currently, it has been found that Europeans aren’t accepting job offers, according to Virginia Acha, executive director of research, medical and innovation at the Association of the British Pharmaceutical Industry. This problem may resolve itself once rights have been assured for EU nationals. However, the industry may wish to set out goals to attract scientific talent to bolster research within the UK. 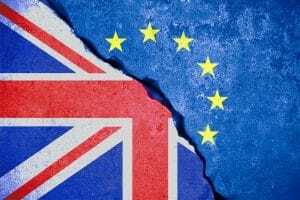 Is the HARP policy enough to see the UK pharma sector through a tumultuous Brexit? Some believe the promises of higher investment still do not live up to what is required. Senior scientists from the UK’s two largest pharma companies GlaxoSmithKline and AstraZeneca have said that the only thing that will save the industry from a hard Brexit is a rapid scaling up of the government’s investment. The Confederation of British Industry (CBI) lobby group has launched a direct campaign to attempt to push the government into increasing its investment. The 2.6 percent of GDP offered by 2027 is too little, too late in their opinion. Their request is that 3 percent of GDP be made available for R&D. The CBI says an investment of this size would send a clear message that the UK is open for business, and remains a hub for research and academic excellence. While this figure is near double the UK’s current spending, such a figure may be necessary to remain competitive. Major economies such as the US, Germany and Japan all contribute near three percent of their GDP to R&D. Some, such as Korea and Japan, contribute around four percent. To continue to be a world leader in the pharma sector, the UK government will need to back up its promise of further investment.